In this era of globalization, countries can no longer depend on the imposition of tariffs to protect a fragile agricultural sector or the creation of a ‘negative list’. Furthermore, no consumer should be forced to purchase an inferior product, even if it is a locally made one, because in reality protectionism benefits no one. Since there was no workable plan to modernize the Jamaican agricultural sector or to reduce the price of energy, we should not be surprised that the Ministry of Agriculture’s “Grow What We Eat, Eat What We Grow”, campaign has fallen short. Despite officialdom’s reports to the contrary. Jamaica is not the only country that has succumbed to the protectionism trap, only to reap dismal results. In 2010, Canada removed a 25% tax that was levied on imported cargo shipping vessels. The tax only made its shipping industry less dynamic because it became harder for shipowners to replace older fleets with more efficient vessels. At the time the initiative was also projected to save shipowners C$25 million a year for 10 years. Not only did the tariff fail, it was also useless since the ships to which they were applied were not capable of being made competitively in Canada. Recently, the Canadian Conference Board (CCB) reported that Canada was hurting itself by with the maintenance of exorbitant protectionist barriers on their agricultural sector. The report conceded that trade liberalization will result in losers, with the dairy industry being the main loser. We must accept the fact that trade is about exploiting a comparative advantage and we should not be seeking to protect an inefficient sector. Such decisions will only restrict the choice of consumers and burden them with higher prices and reduce their standard of living and disposable income. The CCB report also noted that agricultural liberalization would result in a more efficient use of resources, therefore increasing both output and exports. Jamaica needs a competitive agricultural sector and outdated protectionist policies is not the way to do this. The “Grow What We Eat, Eat What We Grow”, campaign portrays the wrong message, why should anyone purchase an inferior product because it was produced locally? The campaign is only politically profitable and harms our economy in the long run. The campaign should be re-branded as “Innovate Jamaica, to Buy Jamaica”. Agriculture can only be improved through the application of technology and innovation. For example Britain recently invested over 30 million pounds into its research and innovation campuses to boost agricultural productivity. Jamaica’s food security campaign’s purpose was to protect a weak sector. Boosting our agricultural productivity through innovation was never an objective. We will never gain competitive advantages with this strategy. Let me give a few examples: 1) Chris Reed the director of a fast growing American drink company is bemoaning the fact that his company is unable to get consistent supplies of Jamaican ginger; 2) although the demand for ackee is high, Jamaica is unable to export the product in sufficient quantities; and 3) Jamaican Blue Mountain coffee is a premium product at a premium price that perenially struggles to meet demand and the coffee industry needs intermittent bailouts to stay afloat. The latest foolhardy move by the government in this campaign is to pass legislation that will be intended to force state entities to have a minimum portion of their food purchases sourced from local producers. Beware the unintended consequences of good intentions. After all, why should these state agencies by law be forced to rely on an unreliable sector? Clearly, the Minister of Agriculture, the Hon. Roger Clarke lacks foresight and should demit office. 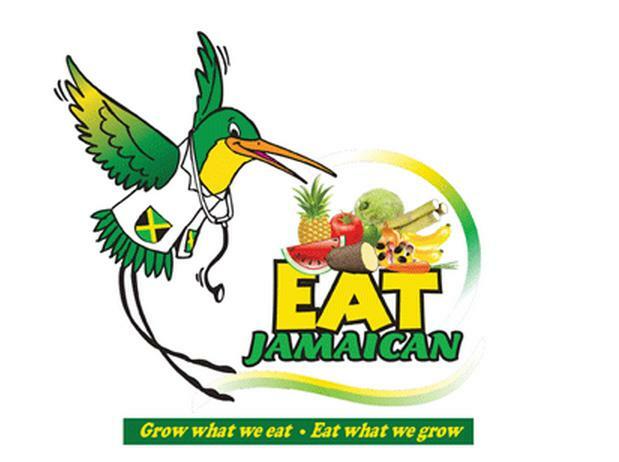 This entry was posted in Agriculture, Economics, Jamaican Issues, Right From Yaad and tagged Chris Reed, Eat Jamaican, Grow what we eat, Jamaican Agriculture, lipton matthews, Ministry of Agriculture Jamaica, Right From Yaad, Roger Clarke. Bookmark the permalink.